Meow! I am a male Birman mix cat. 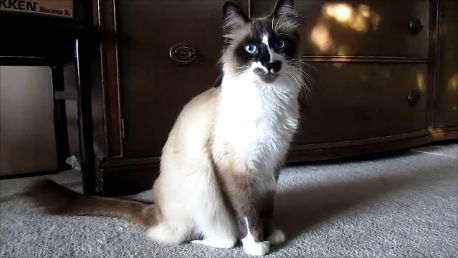 Birmans were once known as the sacred temple cats of Burma. I was born Feb 24, 2013 and that makes me a Pisces (the fish). My biological mom was a pure pred Birman who got together with the local alley cat of unknown pedigre (sounds like the Aristocats love story!). I was found advertised in the local newspaper and my human dad was not impressed with my nursery when they came to get me, which was in a small seedy apartment shared by my 2 sisters and a family of dogs who just had pups. Clearly a kitten and puppy mill situation. Since I’m a boat cat, I was named after the greek hero Perseus who slew Medusa and killed the Kracken, plus he had the words that sounded like purr and sea so it seemed fitting. It’s pronounced like the name Percy for short. Our boating playground is the Pacific West Coast of Canada, and we plan to chronicle our visits to the many beautiful and remote bays and marinas within it. Lot’s of history and geocaches to explore. We are members of the Port Moody Power & Sail Squadron, within the Pacific Mainland District of the Canadian Power & Sail Squadrons. Our mission is to increase awareness and knowledge of safe boating by educating and training members and the general public, by fostering fellowship among members, and by establishing partnerships and alliances with organizations and agencies interested in boating. My human mom is the Editor of our squadron’s newsletter called “The Quarterdeck”, and Communications Officer. She is also the Editor of our district’s newsletter called “PropWash” which is published periodically in the Pacific Yachting magazine. Even though we have a military sounding name, it couldn’t be farther from it. You don’t often see cats doing tricks, but we can and I do. My human mom is continuing to teach me more tricks and videoing my progress…she’s learning new video creating tricks too. Very nice to meet you! Can’t wait to follow your adventures! EEoww Purrsea yer Mum waz a reel beeutee n we seez where ya get yer lookz frum!!! Hello! I have nominated your blog for the One Lovely Blog award, because I think it is lovely, and I truly enjoy reading it! I hope you will accept! Thank you very much, I am purring in delight at your gesture! Hello, I’ve been nominated for the Liebster Award and am passing the nomination on to you! I love reading your blog and cannot wait to read more in the future. I hope you can accept! Thanks for pawing over to The MomHood for a visit! I like what you got going on here, its purrfect! Purrsea looks like a delightful character! Am happy he has found a furr-ever home. While I have met many cats through their owner’s blogs, and I am in fact owned by a cat, this is the first blog I have hit the follow button for that is written by a cat. Thank you, it seems I have that affect on humans…mol. Hello Purrsea! I’m smiling to myself as I’m typing this. I’m following a blog of a cat! Well, I daydream of having a Birman cat too, so, there you go. Looking forward to reading more of your adventures! Thank you Annie. 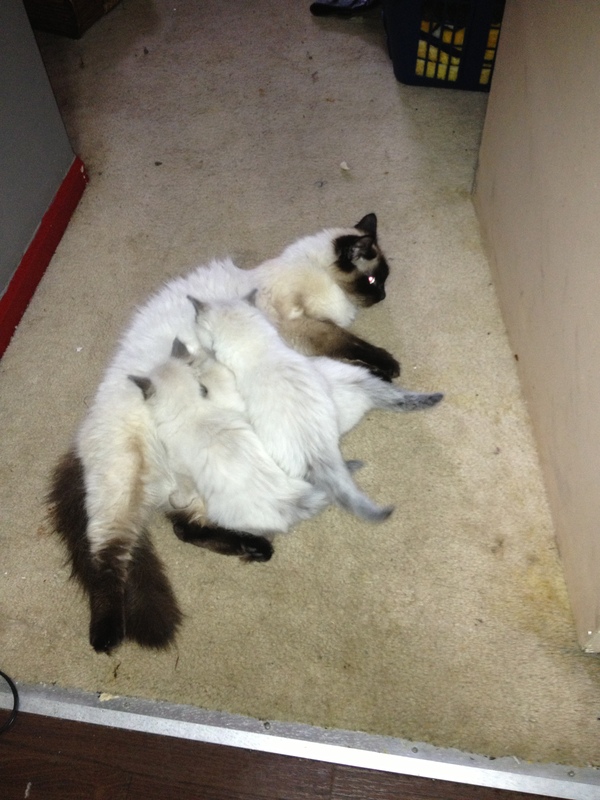 Hope you find your special Birman one day soon…when you do, let me know! Hello- Thank you for following my photography blog, Jane’s Lens. I hope you enjoy my work. Meow! Pose for a Purrtrait? OH MY GOD. I love your blog! !